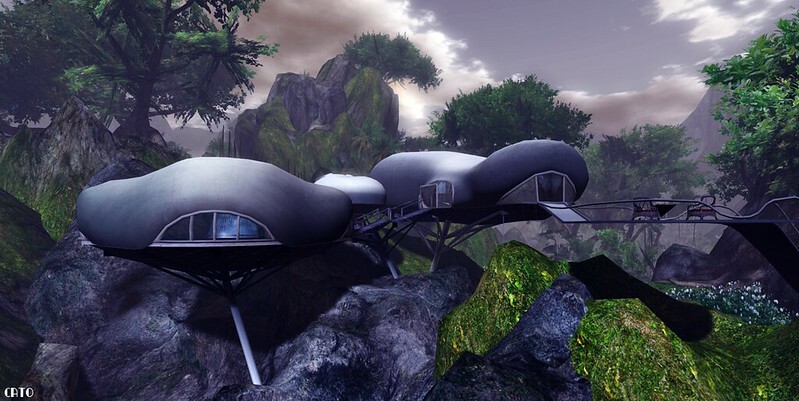 Often I use the Destination Guide to see what is new in SL, and today one of the highlights on my dashboard caught enough attention to TP over and have a look: The Lost Island. Now, I also saw a comment added in the DG’s entry (one can share, comment, like and all that via Facebook), by someone NOT recommending it as the place was to their experience very tiny due to use of ‘surround sim’ elements. It is true that the ‘surround sim’ elements are used ON the sim, and since one cannot actually walk or be on those, it does make the actual explorable site somewhat smaller, but by no means did it gave me the impression it was tiny. 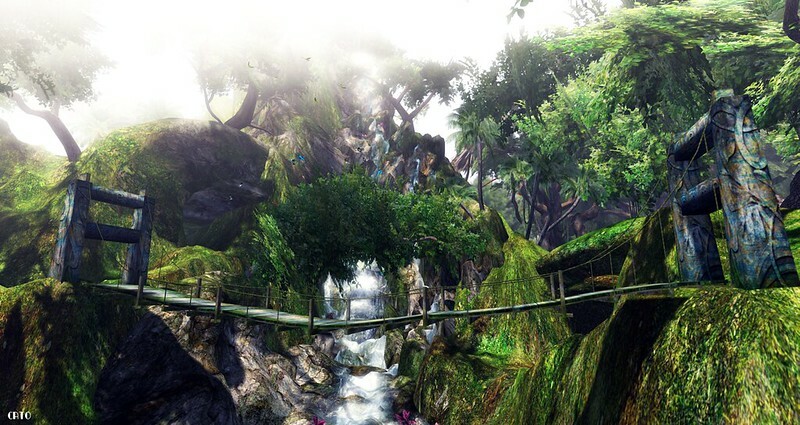 In fact, I found it a tasteful and lovely decorated landscaped jungle – with a hint of fantasy/magic. It has some great detailed spots and there is room for a romantic dance, via the intan dance poles. 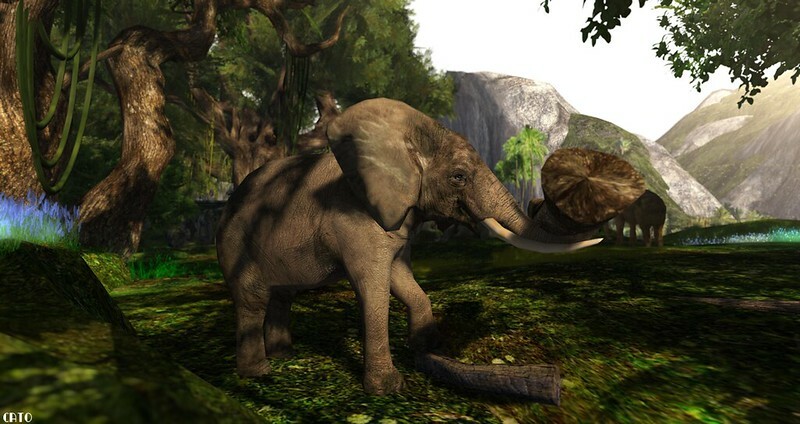 I ran into some elephants, and fell from a bridge (duh) and I certainly recommend a visit to this lush green forest!